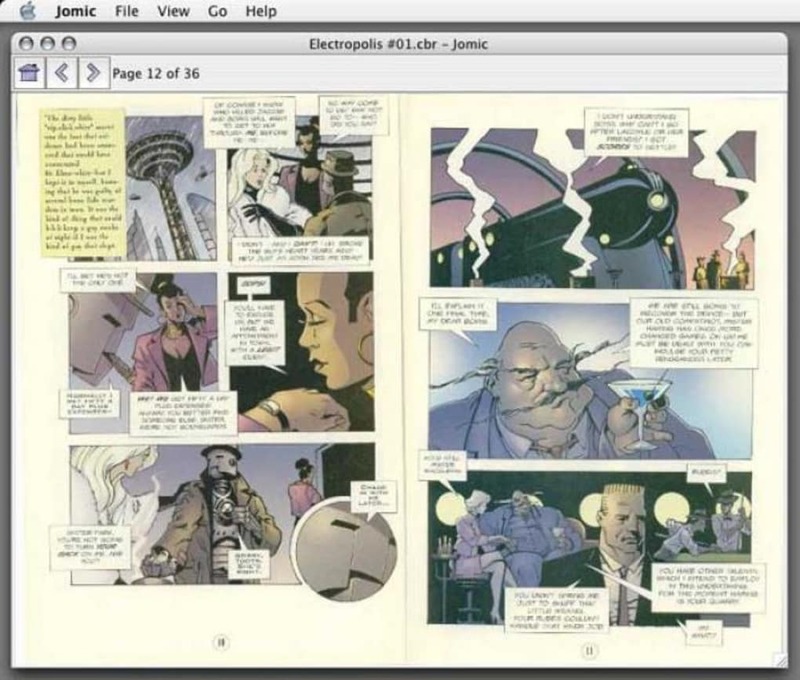 Jomic is a an excellent viewer for Mac comic books fans. 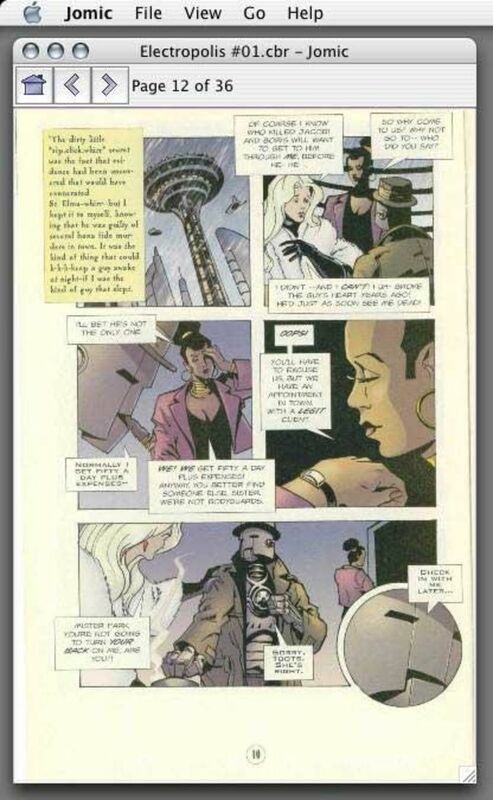 This open source application makes for a really handy comic book viewer. First of all, it handles of all the major image formats, including PNG and JPEG, and even supports comic book specific formats such as CBZ and CBR. The interface is simple enough so that you make the most of your comics. You can rotate sets any which way you want and even alternate reading order from right to left, highly useful if you want to read a manga for example. Jomic includes a useful zoom tool, with which you'll be able to zoom in on any point of a comic, and enjoy details or examine drawings more closely. You can also extract comics which you can particularly like and save them onto your Mac, however Jomic won't tell you where it extracts to. It should normally be on the Desktop though. 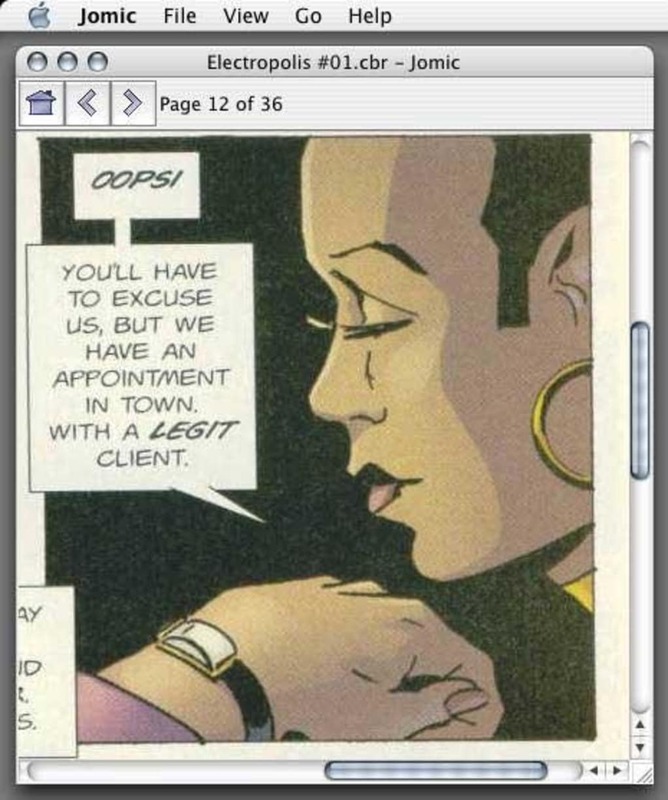 Jomic is an excellent comic book viewer for Mac, which supports lots of image formats, has a good zoom tool and can rotate comics in any way. Fixed excessive CPU usage if an image could not be read due to certain error conditions Fixed spurious broken images if a comic ZIP was created using Mac OS X's compress in Finder. For every image like some.png, compress adds a file __MACOSX/.some.png containing the resource fork [Bug 3285681] Fixed help menu under Mac OS X, which automatically got a search bar that never found anything and disabled all other help menu entries Fixed size and location of dialog to set blur options. If the dialog now has a sensible size when opened for the first time and remembers its size and location between application launches Fixed missing images for web start Changed comic conversion to continue with next comic in case one comic fails Added possibility to open and convert more PDF comics than before by upgrading to PDFBox 1.5 Changed memory available for Java from 256 MB to 1 GB in order to cope with PDFBox's increased memory requirements when reading complex PDF documents Improved look and feel under Mac OS X 10.6 by updating to Quaqua 6.5 Changed internal image reading, rendering and filtering to use the Java standard libarary instead of JAI. Ideally you should not notice any difference. Some things you might notice: Certain broken images cannot be read anymore ("Booh! Hiss!" - Fix 'em!). Detection and processing of broken images is slightly faster. Application launch is slightly faster. The user interface is a little snappier. Certain error messages are less incomprehensible. Jomic is a viewer for comic book archives. It can handle both CBZ and CBR archives and has a two page mode. Supported image formats are PNG, JFIF/JPEG, TIFF, and GIF. What do you think about Jomic? Do you recommend it? Why?